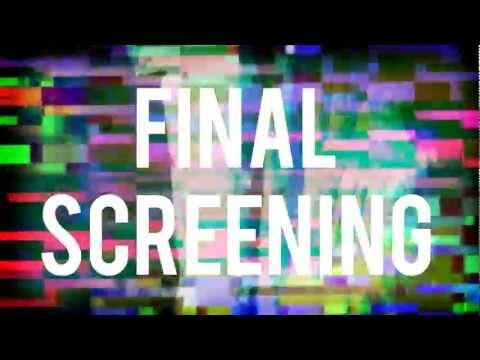 The final screening of student work at The Evegreen State College will range from animation, documentary, and installation work. Subject matter and styles are varied, which is sure to provide something for everyone. There will be an intermission with food and beverages where you can enjoy other 2-D work created by students over winter quarter. Welcome to Nonfiction Media. Please consult the syllabus page for information about our schedule, activities and assignments. Other documents will be added gradually. You also might want to consult the links on the right! What does it mean to make moving images in an age of media proliferation and saturation? How do we critically engage traditions of media practice while pushing beyond established forms? How are images used in commodity culture and how can we repurpose them to communicate our own meanings and values? What responsibilities do media artists and producers have to subjects and audiences? How can we make media that responds to the world and supports struggles for change? What strategies, formats and distribution venues are available to us? In this program, students will engage with these and other questions while gaining knowledge of media history, theory and production. This is an intensive full-time, year-long program linking media theory with practice. We will start by exploring media’s capacity to observe and record the world, and its potential to create meaning. We will explore media modes and communication strategies including animation, documentary and experimental film/video, emphasizing the materiality and artistic properties of sound and moving image media, as well as the strategies artists and media producers have employed to challenge commercial forms. We will experiment with alternative approaches to production, including autobiography, audio-visual essays, installations and collaborations with community groups. Through experiments with image-making and sound students will build critical, conceptual and technical skills. They will develop further skills in media analysis and criticism through readings, seminars, research and critical writing. As a learning community we will participate in critique sessions, another form of collaboration through which we help each other evaluate and improve our work. In fall, students will build skills in field observation and research that are essential to media-based work. Through a series of design exercises, students will combine observation with technical skills in digital photography, video, audio, drawing and writing. We will critically analyze how the media frame our understanding of reality. In hands-on workshops and assignments we will explore the idea of image as commodity and the ways images create and contest meaning in art, politics and consumer culture. Our exploration of the social implications of the image will include representations of the body, self and other, identity and community. In winter, we will expand our study and practice of media to include its use in community collaboration. Through research, photography, video, sound and installation, student groups will produce multi-media works that extend and support the work of community organizations. We will do research, learn about traditional and experimental approaches to community involvement, and explore the new modes of distribution and exhibition that electronic and popular culture make possible. In spring, the conceptual, collaboration and production skills developed in fall and winter will form the foundation of independent project work—from individual projects in non-fiction video, animation, installation or web-based work to internships or community collaboration. Students will be expected to develop a project proposal demonstrating informed and thoughtful planning in the mode or format of their choices. Julia Pott, "My First Crush"
Peter Rose on "The Man Who Could Not See Far Enough"
Kevin Concannon, "Cut and Paste"